Chris Frewin's Full Stack BlogA Detailed Tutorial - Shopify's Storefront API + React + Redux | Chris Frewin's Full Stack Blog. 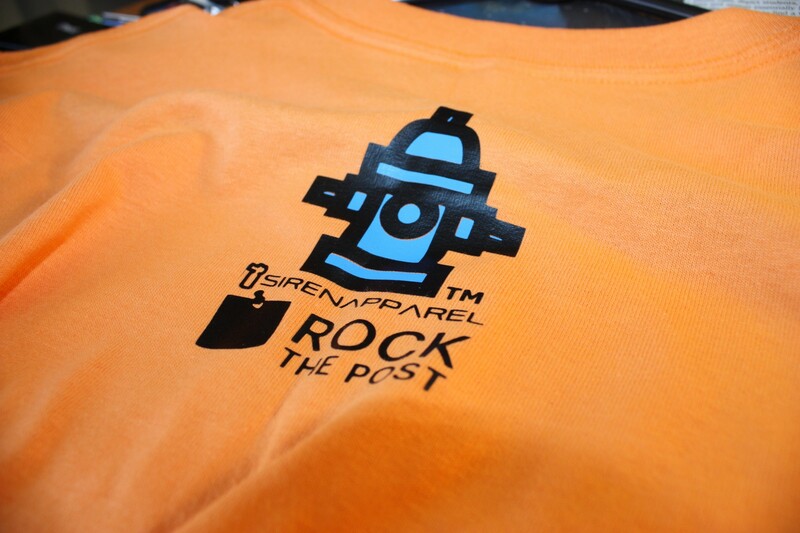 Siren Apparel’s flagship shirt — Hydrant Removal. So the motivation here was pretty simple. I wanted my users to be able to browse, search, and select products directly on my custom domain without having to go to Shopify. The secondary motivation is that I’d much rather have my own codebase for a website than use one of Shopify’s factory templates. No offence Shopify team! The templates are modern and clean, but they are rather basic. So this is the best of both worlds — my custom React site (already built and online 😄), with the added API and checkout process of Shopify! By the end of this tutorial, you’ll be able to add your Shopify products on any page of your site. The only part of the shopping process that will occur on Shopify is when the user clicks ‘Checkout’. The motivation specifically for writing here on Medium was simply that I couldn’t find a tutorial on this process myself— so I decided to make one myself! Siren Apparel is one of my side project / startup / maker company that I’ve run for 5 years now, and we’ve donated to 5 different police and fire departments. Let’s finally get started with this tutorial. The wonderful folks at Shopify have put together the Storefront API. With the Storefront API, you can create React components to add product pictures, product variations, product sizes, a cart, and ‘add to cart’ and ‘checkout’ buttons into your own, non-Shopify site. Note that this tutorial is NOT about Shopify Polaris, which is used to create components in React for Shopify store management itself. Take a look at this React example built by the Shopify team. Most of the code in this walkthrough tutorial comes from that repository. …Did you take a look? Good! That’s it for index.js for now — we’ll come back to it soon. We will paste these components into acomponents/shopify/ folder in your src/ folder. You could put these component files anywhere else in the src/ folder, if you wished. The rest of the tutorial assumes you have put them in components/shopify/ . if you already have state, copy only those bind lines. They are event handler functions that the Shopify cart needs to function properly. So, you may have noticed I didn’t include any code on the event handlers for the cart yet. Additionally, I didn’t address the lack of state components for the cart in App.js. Well, about halfway through this project, I realized my products component was not in my App.js file. Instead, it was buried about three children components down. Ugh! I know, I know, Redux, while not being very difficult, is a pain in the %*$! to wire up initially with all the boilerplate required. But, if you are a developer working on an E-commerce store or an E-commerce store owner, think of it this way: Redux will enable you to access the state of the cart from any component or page in our app. This ability will be essential as Siren Apparel expands and we develop more products. As we create more products, I’ll make a seperate dedicated store page with all products, while leaving just a handful of featured products on the homepage. The ability to access the cart is essential if a user shops around a bit, reads some stories or info about Siren Apparel, and then decides to checkout. It doesn’t matter how much they navigate around, nothing from their cart will be lost! So, in short, I decided it’s probably better to implement Redux now while the codebase for our site isn’t too large. Note that I also have a <IntlProvider>, but that’s in a different post about how I applied internationalization and localization to dynamically render the content on Siren Apparel’s site. A different story for a different day. // buildClient() is synchronous, so we can call all these after! By now the reducer is created, and the initialization of the Shopify API client is complete all forindex.js. This connects the redux state to the App component. You can add these between the constructor() and render() methods as usual. If you were following along, I already mentioned that I added my own handleCartOpen function, because I pass that function down as a prop to my <Nav/> component, so a user is able to open and close the cart from a link in the nav. At a future time, I could move that function to the Nav itself instead of passing it as a prop, since of course the Redux store will also be avaliable there! So, you’ve got a basic store maybe with some simple href’s that link to the corresponding product on your Shopify store? Ha! Throw those out, and replace them with your brand spankin’ new <Products/> component! Great! Now, no matter how deep in components or where ever your products component is declared, it can communicate with the cart’s state! Since I renamed the app.css which was in the Shopify example repository to shopify.css , and put it folder styles. This convention is also used in the boilerplate repository code. But who knows, maybe I’ll post on that eventually — but I find the styles from Shopify pretty good and easy enough to modify. In my opinion, this is a perfect (non-todo list 😜) use of Redux. Redux cleanly organizes the event functions and state of the Shopify cart and makes it easy to access the cart’s state from any other component. This is much easier to maintain than passing pieces of state to children and using multiple event handlers to pass events back up to parent functions all over a React app. As shown as an example in the tutorial, the cart’s state is accessed easily in the nav component and the shop section of the front page. I’ll also be able to easily add it to a sort of ‘featured’ product section as well, once we’re ready for that. A boilerplate repository of this implementation can be found here. It is a near blank create-react-app app, but with all the changes of this tutorial implemented in index.js and App.js , as well as a super basic GenericStorePage and Nav components. I built the code on the repo while re-reading and updating my own tutorial here, to make sure this tutorial makes sense. Because I am crazy 😜, Siren Apparel’s website is all open-sourced. So if you want to fool around with my implementation, check out the respository! I hope you enjoyed this tutorial! If anything isn’t clear or just plain not working, let me know! I’ll try to assist you! Thanks to Lisa Catalano at CSS-Snippets for the simple Nav example!